You are here: Home >Special > *7 Day Greece & Amalfi Coast Cruises From $1999 US! 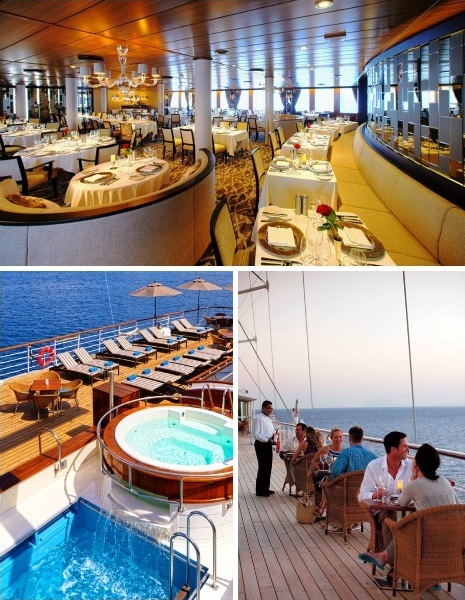 *7 Day Greece & Amalfi Coast Cruises From $1999 US! More Ports. More Vacation. Private Yacht Style. Imagine a day that begins with a dip in the shimmering Mediterranean Sea and ends with a private moonlight supper in the world's largest outdoor archaeological site. Explore the hidden delights of Greece in private yacht style - aboard a pristine small ship with sun-kissed teak decks, indulgent amenities, impeccable personal service and fewer than 300 fellow passengers. 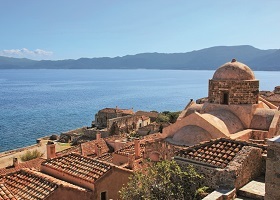 Idyllic islands, charming cobbled villages, spectacular scenery, intriguing history. Capture the heart of the Mediterranean in a single voyage. Each small harbor is especially suited for small ship exploration. Enjoy the best of the region - from the ancient ruins of Sparta and Mystras to the pure indulgence of the Mediterranean lifestyle. See more of the Mediterranean on the World's Best Small Ship Cruise Line! Complimentary Windstar Private Event - Giardini Naxos: Tastes of Sicily! Your exclusive Private Event begins with a trip to Gambino Vineyards, a family-run winery that displays a passion for perfection in all they produce. You will get a wonderful education in what to expect from world-class Sicilian wines made by people who pay exacting attention to indigenous vines, the Etnean terroir, and modern vinification practices. Enjoy the unmistakable perfumes of the volcano vegetation and taste some delicious wine. After your tour your lunch at the winery includes a selection of traditional Sicilian food which, naturally, is paired with excellent wines. Savor your meal. There's no rush when you're enjoying the good life with your Windstar companions. Please note: This Private Event has been scheduled in a way that will allow you to book and experience another shore excursion on the same day and you will not miss anything. The Wind Star is a sleek, four-masted sailing yacht that accommodates 148 guests. Wind Star features wide open, teak decks - quite unusual for small ships. Onboard you'll find two primary dining venues. AmphorA restaurant offers gourmet, course-by-course cuisine in the evenings and Veranda restaurant offers casual buffet and full-service dining for breakfast and lunch. All dining is open seating. And, for dining under the stars, make a reservation for Candles which features steaks and skewers. Enjoy the WindSpa, Watersports Platform, Casino, Lounge, Library, Pool, Hot Tub, or hidden nooks for private moments. All staterooms have ocean views, queen beds, flat-screen TV with DVD player, and Bose SoundDock speakers for Apple iPods. The Owner’s Suite includes a sitting area. Your Wind Star cruise will include all meals in all venues at all times, including room service menu available 24 hours. All non-alcoholic beverages, including cappuccino, espresso, and other specialty non-alcoholic drinks. Welcome cocktails at reception. All onboard entertainment. Unlimited use of Fitness Center. Unlimited use of all water sports equipment. Informative nightly port talks and destination briefings. All pricing above is in US Dollars, per person. Port charges & taxes are additional. Pricing is based on two people sharing and subject to availability. The "From" price listed on our website is for the April 29th departure date; other dates may have different pricing, please inquire. All pricing is based on availability and subject to change by the cruise line at any time. For more information please contact one of our Europe Specialists!